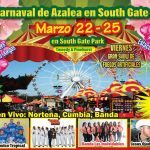 The city of South Gate will be holding their annual Azalea Carnival & Music Festival from Thursday, March 22nd through Sunday, March 25th, located at South Gate Park on Tweedy Blvd & Pinehurst Ave. 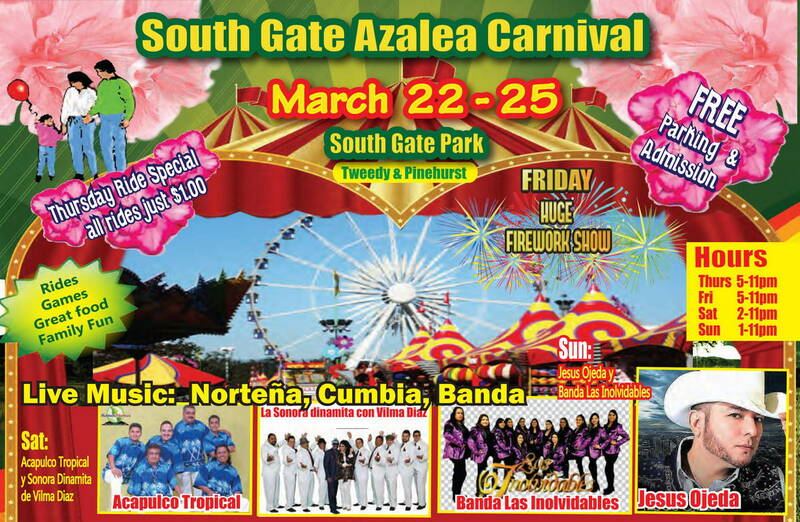 The four day festival will have carnival rides for all ages, great food, games & prizes, live music, and more. Free parking & free admission! On Thursday night, all rides are $1 each. Fireworks are on Friday night at 8pm. 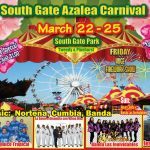 Please note that CA Carnivals does not operate nor is affiliated with this or any event listed on this website. 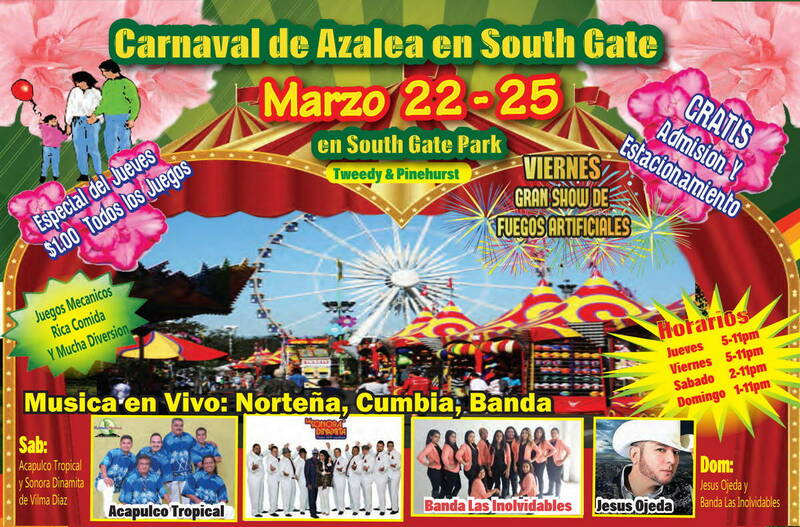 Organizers: Some events are added by editors at CA Carnivals. If you would like to update/change information, then please use our update form.